Education Minister Ong Ye Kung has said that in order to prepare Singapore’s youths for the future, several trade-offs in our educational system would have to be made. He reiterated the need to preserve meritocracy, and yet develop a mindset that that goes beyond academics. 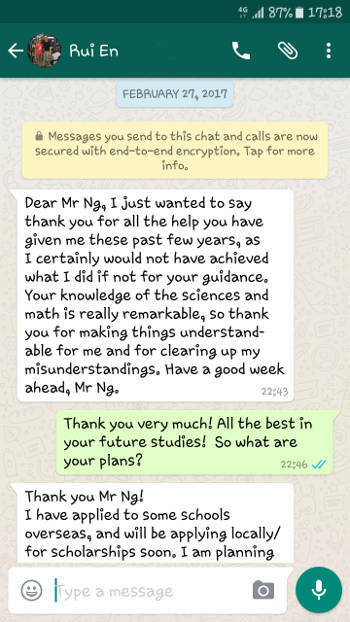 Mr Ong also said that the idea of lifelong learning has changed the concept of how an individual with a good education would most likely be prepared for the rest of his or her career. While an academic degree will help open doors, it should not be the only path to success, said the minister. Increasingly, employers are also looking for demonstrated skills and competencies that go beyond academic qualifications. Mr Ong said that tailoring teaching to students’ needs will give them a greater chance of doing well. Finding a balance between the rigour of education and the joy of learning is also important, said the minister.